Once in a while you may want to lookup who called you from a phone number you didn’t recognize. This called reverse phone number lookup. Usually this is offered as a paid offering from a lot of services. However, I found a free service that does this well. 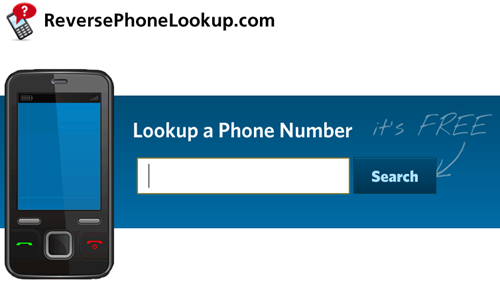 ReverPhoneLookup.com is a free service that lets you lookup a phone number. It works for both cell phones and landlines but cell phones are mostly unlisted. As the service searches for the number you provided, it returns first and last name when a match is found. It also shows where the number was registered, a map of their location. If it’s a wireless number, it shows original coverage area, carrier type, zipcode coverage, etc. This article is interesting. I’ve used a few different services for these activities and have been pretty happy with the site: http://www.numberinvestigator.com. I’m curious if any other readers have tried these services. I like the article by the way. I’ve used a few different websites for this but have been pretty happy with the site: http://www.callcatalog.com .. Has anyone else tried this?